The myth that Copernicus feared religious persecution and delayed publication of his book as a result is nonsense. 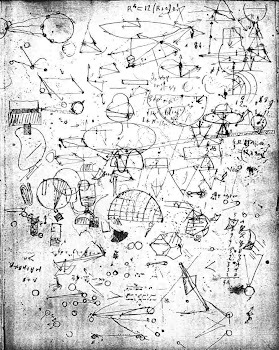 He was part of a late medieval/early modern culture that was already questioning the Ptolemaic and Aristotelian orthodoxy and looking for a more elegant and precise mathematical underpinning for astronomy. He did not keep his theories secret and was strongly encouraged and supported in his work by leading churchmen, including several bishops, three cardinals and the Pope. His hesitation came from his correct perception that Aristotelian scholastics would reject his thesis primarily on physical grounds, though their synthesis of that physics with theology would also be a motivator. Finally, when he did publish his work the religious objections were few and far outweighed by scientific ones until the discoveries of the seventeenth century slowly turned the consensus in the favour of heliocentrism. As far as I know, the Church never did ban a book or burn a heretic. Some witches and other heretics were burned by the civil authorities in Catholic countries, but not by the Church. The Copernicus book was placed on a list indicating that nine sentences were inconsistent with Church teachings. The book continued to be available in Catholic countries, with an understanding that those nine sentenced ought to be corrected. The Church was more tolerant of adverse opinions than Facebook is today. Needless to say, these are ugly and overtly racist beliefs. They are also at odds with what Shapiro, as a Jewish man, represents. No, it is not at odds with Shapiro represents. Shapiro is very much a Jewish nationalist who promotes and identitarian worldview. To him, a person's worth is determined by his Jewishness. It is true that Shapiro attacks identity politics in non-Jews, but most people care only about their own ethnic group, and do not support other ethnic divisions. Most of the Left is also consumed with identity politics. So promoting an identitarian worldview is not what defines the alt-right. Most of the alt-right is much less identitarian than most Democrats, Jews, blacks, orientals, Mexicans, and others. Shapiro is an orthodox Jew, and so is much more conservative that the more visible secular leftist Jews who control the Democrat party and the news media. So it is more accurate to call him Jewish neo-con than alt-right.